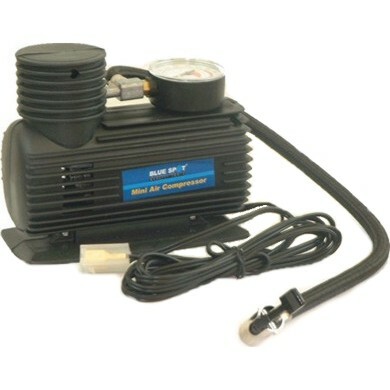 12v Mini air compressors with dial. Uses standard valve connection. Can be fitted with croc clips or Pro range plug, so that the unit can be used to inflate the tyre on the buggy using the buggy batteries.